Please, has Liar Muhammed been sacked as APC Spokesperson or has he traveled? Or is he dead? It is pertinent to ask such questions as someone is trying very hard, albeit so miserably to take over his job. The APC National Chairman, should have left lying and #APCPropaganda to Alhaji Lying Mohammed as he is Consummate Liar, at least we are used to him. Quoting the Australian #ScamNegotiator, Stephen Davis, Chief Oyegun who is looking desperately for National Relevance has found that Notoriety is the best option to his ideal. One wonders at the kind of Opposition Leaders Nigeria is Cursed with. The Nitwitted, Dimwitted, Insane Fellows that even Psycho Wards would be ashamed of giving admission, that populate our Streets and Leadership Space. The same rubbish, garbage and NON-CREDIBLE recycled interview Oyegun is quoting also said that the Nigerian Central Bank was funding Boko Haram when Sanusi Lamido Sanusi, now Faustian Emir of Kano was at the helms of affairs. 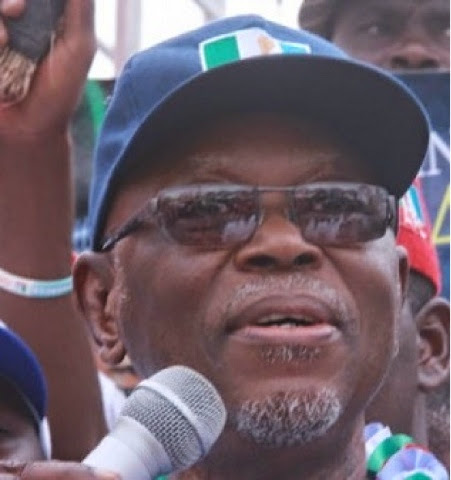 In fact Chief John Oyegun, now turned #APCPropaganda Chief must have drunk Alomo Soaked with Janjaweed with his Pepper Soup when he was making that address!! !